Hartingtons Cookery School in the heart of the Peak District is where visitors to Bakewell can participate in an artisan cookery course or attend one of their special food events. Why cook in the city when you can come to the beautiful Peak District and get away from it all? Hartingtons in Bakewell has got the balance right. Working with local food specialists and businesses, and drawing on the natural resources of the surrounding countryside, it offers a well-curated programme designed to appeal to a broad spectrum of foodies and beer enthusiasts. Set up in 2010, Hartingtons is housed in a converted saw mill close to the centre of Bakewell. The school offers an extensive programme of courses both traditional and artisan. In addition to a busy calendar of special food events, Hartingtons also provide expert courses for people looking to set up food and drink related businesses. Spend a day in the woods on the ‘Food Foraging & Cookery’ course learning how to find and identify edible plants, seeds, nuts, flowers and fungi that grow wild in the Peak District. On your return, watch a demonstration as they’re turned in to simple and exciting dishes. There’s also ‘Artisan Chocolate-Making’, a ‘Pork Pie and Piccalli’ course, ‘Sour-Dough Bread-Making’ and a ‘Cheese-Making’ course. The school takes the art of brewing very seriously. It’s the place to come if you want to learn how to brew beer and set up your own microbrewery. The 3-day course includes sessions from Rob Evans, owner of the renowned Peak Ales Brewery on the Chatsworth Estate, and among others, master brewer Alex Barlow who designed and commissioned the new brewery for Purity in Warwickshire. The Craft Beer Brewing course is also very popular. ‘Foraged Drinks & Beverages’ will appeal to Foodie Drinkers. Start with a walk along the Monsal Trail then return to the school to make elderflower champagne and infuse vodka to create elderflower and gooseberry vodka. You’ll learn how to create nettle cordial, a wild spiced mulled wine, and a very British classic ‘Dandelion and Burdock’ cordial. Piccalilli is a bright yellow relish that contains roughly chopped vegetables that are spiced with turmeric and mustard. It’s a British classic that can be traced back to 1758 and is traditionally served with pork pie and cold meats. Sadly, not a doggy day out for me so please bring me back a new toy to play with. 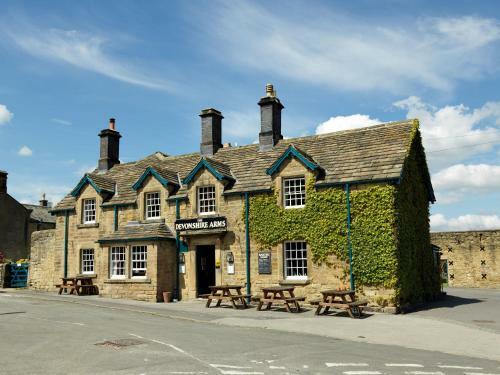 Find more Foodie Things To Do in the Peak District. Discover more Cooking Experiences.